The Snowshoe Foundation’s Board of Directors is composed of a talented group of local volunteers who selflessly offer their time and skills to work toward improving life in our region of Central West Virginia. All of our board members are active in the Snowshoe community, as well as surrounding areas. Meet the individuals whose dedication is making a real difference in the lives of residents throughout our mountain communities. 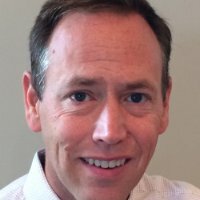 Frank DeBerry joined the Foundation in 2011, after taking on the role of President and Chief Operating Officer for Snowshoe Mountain Resort. Mr. DeBerry has served on several non-profit boards. While serving as President of Mountain Creek Resort in Vernon, New Jersey, he used the Snowshoe Foundation as a model when he helped launch the Mountain Creek Foundation. Having spent his entire career in the mountain resort business, Frank has learned to appreciate the special relationship that a resort has with its community. As an employer and economic driver, the resort has a responsibility to give back and support its community in any way it can. DeBerry graduated with a Bachelor of Arts degree from the University at Albany in New York. He then attended the William E. Simon Graduate School of Business Administration at the University of Rochester in New York. 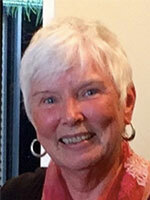 “I have had the pleasure of being one of the long-term Board Members of the Snowshoe Foundation. I have really enjoyed the opportunity to work with the great people that have served, and, are serving on our board. 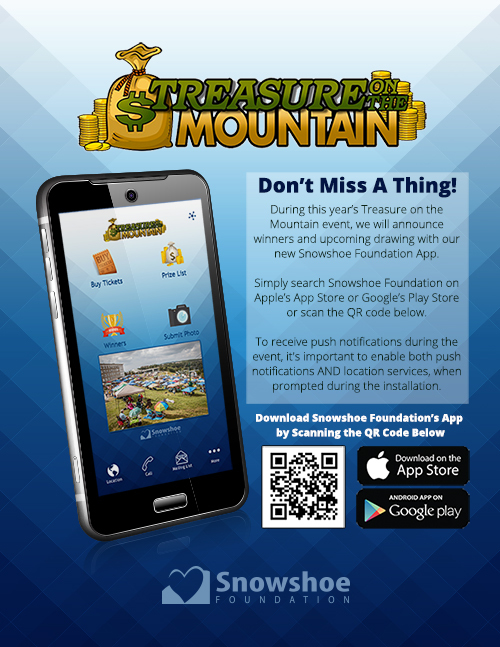 The Snowshoe Foundation Board is responsible for raising funds and selecting the grant recipients. These grants, and scholarships are making a difference for the people in our communities. I have also had the opportunity to work with, and serve on, the boards of the United Way in Randolph County, the Elkins YMCA, Randolph County Creative Arts Center and Women’s Aid in Crisis. I also enjoyed serving several years as an Assistant Boy Scout Leader and on Elkins City Council for 8 years. Along with the Snowshoe Foundation, I am currently serving as a board member on the Randolph County Housing Authority and Allegheny Springs Homeowner Association. I, along with my business partner of 28 years, Clifford Marstiller, CFP, co-own and operate Innovative Investments Inc., a Financial Planning Firm, in Elkins, WV. I am married to Family Court Judge, Lori Haynes, and we have three sons, Tyler, Nic and Maddax. Coby is the Human Resources Director for Snowshoe Mountain. She joined the Snowshoe team in July of 2002 with her sights set on building a relationship between her community and the resort. She came by way of Pocahontas County Senior Citizens, where she held the position of Executive Director for ten years and managed a staff of 70. Her first position at the resort as an Administrative Assistant reported to Ruth Bachman, Executive Assistant to Snowshoe Presidents, CEOs, and COOs for the last 33 years. Coby quickly learned the complex intricacies of Snowshoe under Ruth’s tutelage. Coby worked, together with Snowshoe, to charter the Snowshoe Foundation while establishing a Board of Directors, gaining public charity status as a nonprofit organization, fundraising, and building a scholarship program. The Snowshoe Foundation has granted over $2.5 million to organizations through grants and in higher education scholarships. She assisted with managing a successful pass-through grant establishing the Pocahontas County Prevention Coalition. This organization continues to serve the community of Pocahontas today through Prevention Services and Programming. The resort recognized the difference that the Foundation was making and quickly tacked on the title of Snowshoe Mountain Community Liaison. She joined the Human Resources team of Snowshoe in 2007 and began her journey of building bridges between the resort and employees, while learning the ropes of the HR world. 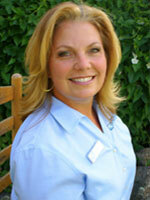 She joined the Leadership Team of Snowshoe Mountain as Interim Director of Human Resources in late September 2011. She was offered the permanent role of HR Director as Snowshoe in January 2012. Her most recent accomplishment encompasses the professional credential of SHRM-CP – Society for Human Resource Management, Certified Professional. Her former position of the Snowshoe Foundation Executive Director and Community Liaison position continues to report through Coby in Human Resources at Snowshoe. Parween Mascari is a native of Parkersburg, West Virginia, and is the Executive Director of the West Virginia Farmers Association, an attorney, and lobbyist. She works closely with the legislature to help shape policy for the State of West Virginia. Through her association work, her own entrepreneurial efforts, and her community involvement as a board member for the Snowshoe Foundation, the WVU College of Law’s Visiting Committee, the Girl Scout Black Diamond Council, Public Policy Committee for Philanthropy West Virginia, as a Trustee and Audit Committee Chair for the Claude Worthington Benedum Foundation, and a founding member of both Generation Morgantown and Generation West Virginia, Mascari is guided in all things by her mission of supporting and encouraging job creation, quality of life, hospitality and tourism, small business and entrepreneurship, philanthropy, community and economic development, and the attraction, retention, and recruitment of talent in the Mountain State. Her passion and purpose is to always be working on projects and with people who are interested in moving the State of West Virginia forward. Mascari received both her MBA and law degree from West Virginia University. 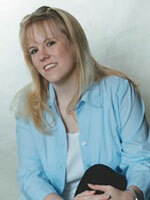 After graduating law school she spent a decade as an attorney with the law firm of Jackson Kelly PLLC. Mascari has four children and splits her time mostly between Morgantown and Charleston, but spends as much time as possible on top of Snowshoe Mountain where she owns the WV Market, one of her three retail shops specializing in goods made locally in West Virginia by West Virginians. William “Bill” Jordan is a lifelong resident of Pocahontas County. Bill is the branch manager of Citizens Bank of West Virginia, Snowshoe office. He has been in banking since 2000, meeting the needs of consumers with a wide range of products and services. Bill sits of the board for the Pocahontas County Chamber of Commerce, Pocahontas County Bicentennial Commission, Snowshoe Foundation, and the Pocahontas Convention and Visitors Bureau. Bill spends leisure time with family and friends. He makes maple syrup, and loves cooking, gardening, and canning. He enjoys camp fires, floating down the Greenbrier River, driving the Scenic Highway, and thinks Pocahontas County is a wonderful place. Ted Williams is a graduate of Webster Springs High School, Glenville State College, and West Virginia University. He has worked as a teacher, coach (baseball, football, track, and basketball), and as the Randolph County Schools Athletic Director for over 38 years before his recent retirement. Ted excelled at all levels of coaching. As an athletic director for 12 years at Tygarts Valley High School, he secured funds for, and directed construction of, permanent bleachers on the TVHS football field. While employed at Elkins High School, he obtained sufficient funding and material donations to construct the new baseball field. He worked to organize many volunteers to construct both the field and track, including installation of lighting. 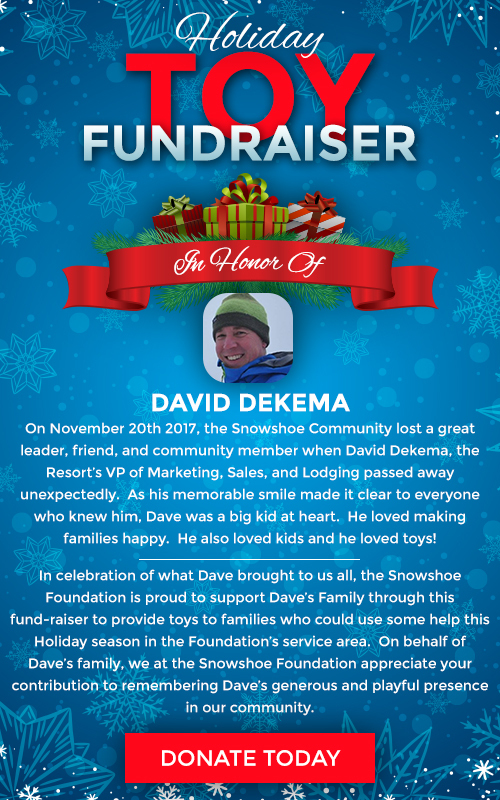 Through his extensive experience with these and numerous additional fundraising events and volunteer recruitment, Ted brings working knowledge of how to best assist the types of organizations and projects that the Snowshoe Foundation strives to support. Ted is married to Karen Williams, née Adams. She similarly worked as a lifelong educator, and recently entered retirement, as well. The Williams’ children, Chad and Kari, are also involved in education and athletics. Chad was recently named as Head Football Coach at Spring Mills High School following a highly successful run in the same position at East Hardy. Kari is a NATA certified Athletic Trainer who following a stint in minor league baseball is now working as a full time Athletic Trainer at Hampshire Co High School. John “Chip” Perrine was raised in Cowen, WV, and graduated from Webster County High School in 1976. 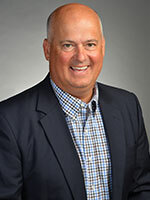 He graduated from West Virginia University with an undergraduate degree in Animal and Veterinary Sciences and went on to graduate from West Virginia University’s School of Dentistry in 1984. 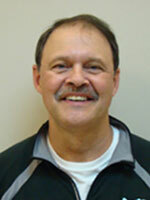 Dr. Perrine opened his dental practice in Cowen, WV, in 1987, and he has proudly been serving his community ever since. Dr. Perrine and his wife, Kathy, have three children. Dr. Valerie Perrine practices dentistry with Dr. Chip in their Cowen office, and is also a professor at West Virginia University’s School of Dentistry. Dr. Paul Perrine has established his own dental practice in Ripley, WV, and Grant Perrine is an RN currently attending Charleston Area Medical Center School of Nurse Anesthesia. Dr. Perrine enjoys spending time hunting and fishing, and he is an avid WVU sports fan. Dr. Perrine is a member of the American Dental Association, the WV Dental Association, the New River Dental Society, and the New River Implant Study Club. 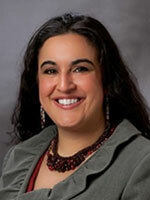 Dr. Perrine also serves as an Associate Clinical Field Professor for the West Virginia University School of Dentistry. He serves on the Board for Camp Caesar, the Webster County Health Department, and as the Webster County Junior League Basketball Treasurer. Sally Kirk Adkins was born in Huntington, WV. She earned her Bachelors Degree from West Virginia University, and her Masters Degree from Marshall University. She has three children and nine grandchildren. Ms. Adkins is a retired educator and literacy advocate. -Volunteered and held board positions with many organizations and agencies through the years. 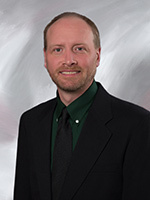 John W. Carte II is a Certified Public Accountant in Elkins, WV. 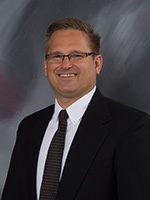 He and his wife, Heather Hall, started their CPA practice (Carte Hall & Associates, A.C.) in 2002. Carte Hall & Associates, A.C. is a full-service CPA firm for individuals, as well as businesses. 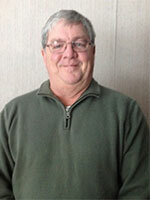 John began serving the Snowshoe Foundation in 2009. Currently, he is on the executive board, and is the Foundation’s Treasurer, as well. In addition, Mr. Carte is on the Citizens Bank of WV Board of Directors and the YMCA Board of Randolph County. Ms. Jessica Stump was born and raised at Snowshoe Mountain, WV. In 2000, she graduated from Pocahontas County High School. She then worked to advance her career by attending Alderson Broaddus College, where she majored in Management Information System. She received her Bachelors of Science degree in 2004. Ms. Stump’s career path at Snowshoe Mountain began in December of 2000 when she began her employment as a server at Cheat Mountain Pizza, and worked there throughout college. After graduation, she began working in the Snowshoe Accounting Department. She was promptly promoted to the position of Senior Financial Analyst. In July 2013, she became the Snowshoe Foundation’s Executive Director, as well as Snowshoe Mountain’s Community Liaison. Ms. Stump also assists with the operations of the Snowshoe Mountain Career Center in Marlinton. In addition, she is currently a board member with the Pocahontas County Prevention Coalition and the Pocahontas County Chamber of Commerce.